Chocolate City’s Ice Prince has revealed that he once dated female rapper, Eva Alordiah. He revealed this while performing at the second anniversary edition of the monthly Loud ‘N’ Proud Live music concert which held at Soul Lounge, Intercontinental Hotel, Lagos on Thursday. “Let me tell you something I’ve never said before in public. 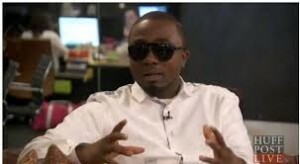 Eva was the first girlfriend I had when I came to Lagos; that was way back” Ice Prince announced as he pulled Eva from her seat onto the stage. Even though Eva shyly responded with “I don’t know what he is talking about guys” , the audience didn’t stop screaming with joy after he made the disclosure. 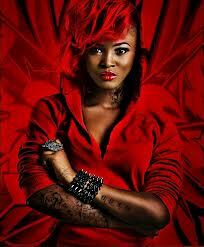 Recall that Eva was strongly attached to M.I and the Loopy crew which Ice Prince belonged back in 2008 and 2009.